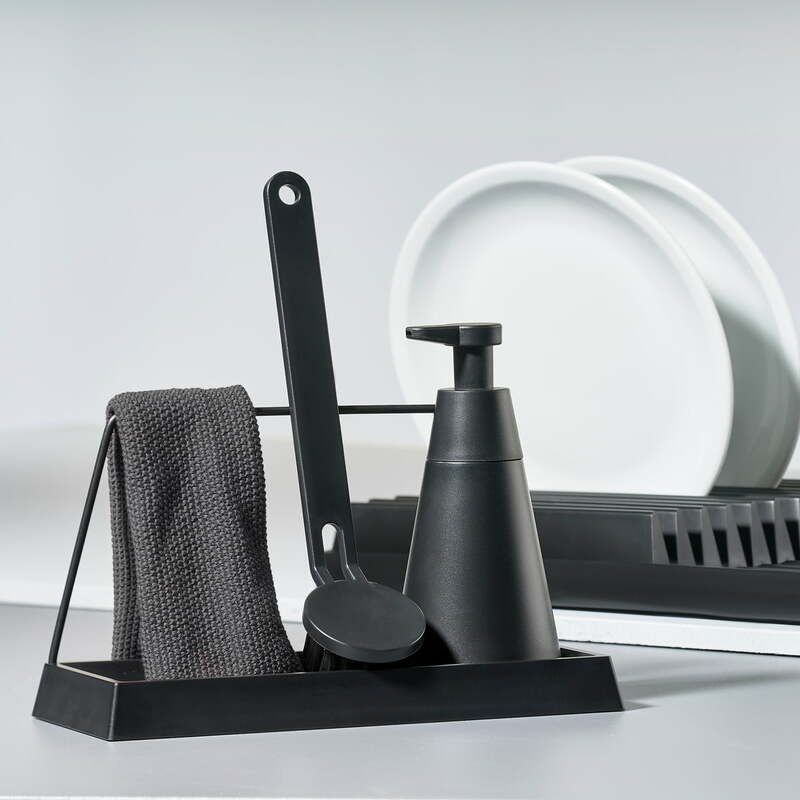 The 3-piece Dry Art washing up set by Zone Denmark is a design by Lasse Sortkjaer, who has been pursuing the goal to create an orderly and uniform look in the kitchen. 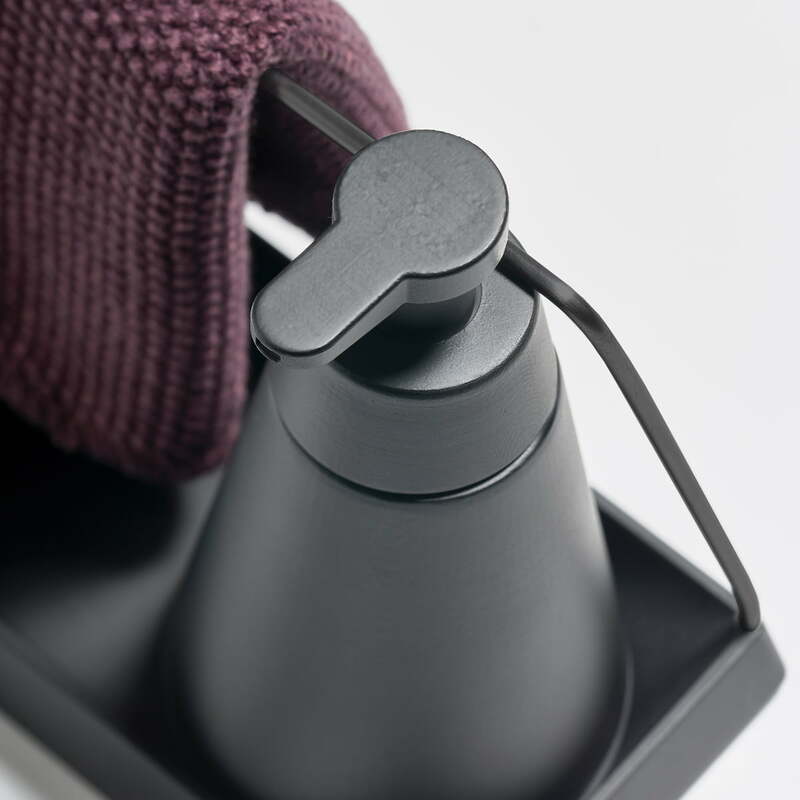 The washing-up set includes a washing-up brush, a soap dispenser and a storage surface on which the necessary tools can be kept in one place. Thanks to the thin metal wire on the tray, the ensemble can easily be picked up and rearranged in the desired location next to the sink. It can also serve to hang up the dish cloth to dry. The brush can be casually leaned against the metal rod and is held in place by a magnet. Due to the slight angle in the handle, the brush is comfortably held in the hand so that optimum pressure can be applied on the brush head. The set is completed by a conical shaped soap dispenser for washing up liquid. The minimalist shape of the set fits perfectly into any kitchen and ensures a tidy and uniform appearance by the sink. Well designed kitchen cleaning set. The magnetic brush that catches on the metal bar is great to keep the set looking neat. Nice quality of materials too. 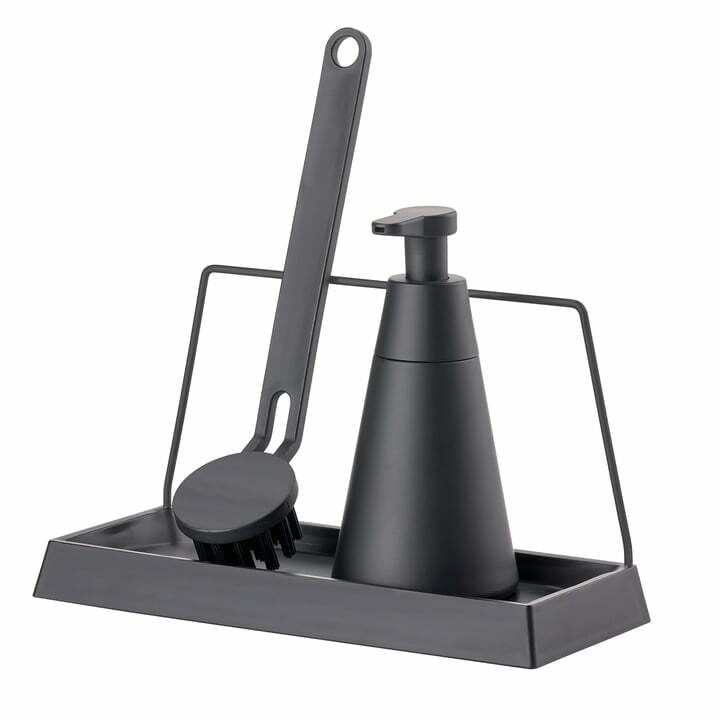 Isolated product image of the Zone Denmark - Dry Art Washing Up Set (3 pcs), black. The minimalist shape of the set fits perfectly into any kitchen and ensures a tidy and uniform appearance by the sink. Lifestyle product image of the Zone Denmark - dishcloth, Dry Art set and dish rack. The Zone Denmark kitchen articles provide a harmonious as well as stylish look to the kitchen. 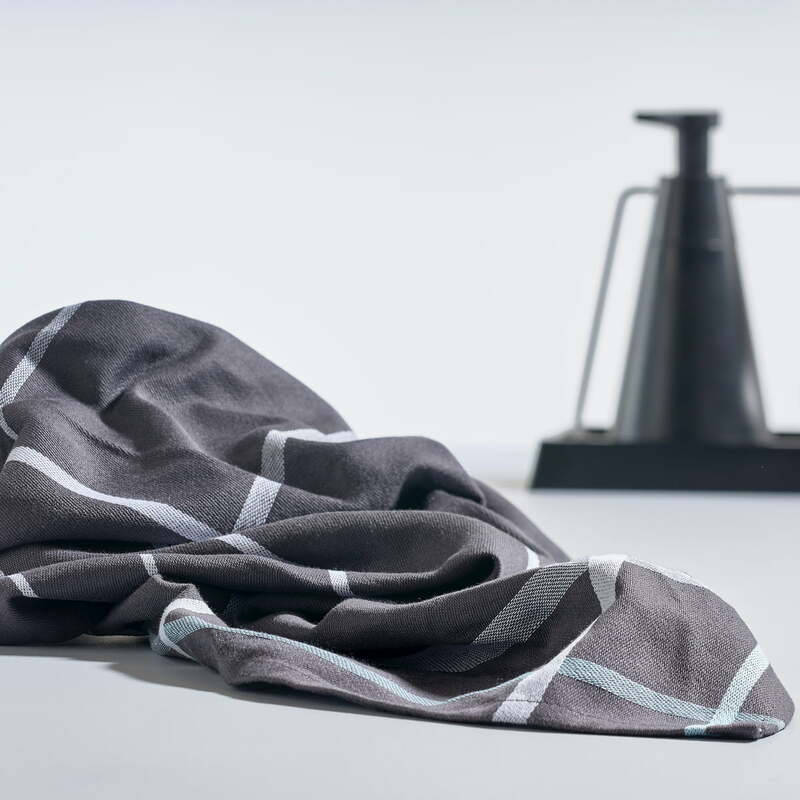 Zone Denmark - Dishcloth, 70 x 50 cm in Dark Grey / White and the Dry Art Set. Zone Denmark - Tea towel and Dry Art set. Thanks to the kitchen utensils by Zone Denmark, every kitchen can be stylishly upgraded thanks to the warm atmosphere created. 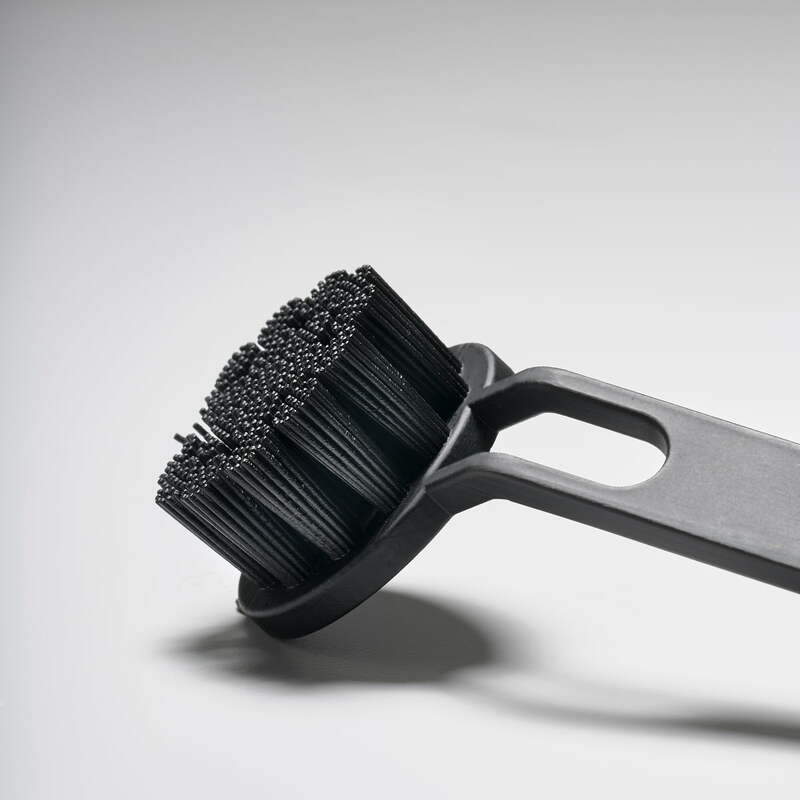 Detailed product image of the Zone Denmark - washing-up brush. Thanks to the slight angle in the handle, the brush is comfortably held in the hand so that optimum pressure can be applied on the brush head. Detailed product image of the Zone Denmark - Dry Art washing-up set. The set consists of storage space, a soap dispenser and a brush, which together gives the kitchen a neat and tidy appearance.